Ikimonogakari Announces 30th Single "Anata"
Ikimonogakari has announced that it will be releasing its 30th single "Anata" on May 13. The upcoming single will be a ballad track. The band's leader Yoshiki Mizuno wrote and composed the song, while Seiji Kameda arranged the track. "Anata" will serve as the theme song for NTV's "7days TV Kazokutte, Nanda" campaign. The campaign will run from May 9 to 15 to coincide with International Family Day on May 15. The network will air programming that showcases the different ways to be a family. In addition to the main track, the single will include live versions of the band's songs "Kirari" and "My Stage". The band's March 14 live performance was recorded for the single. 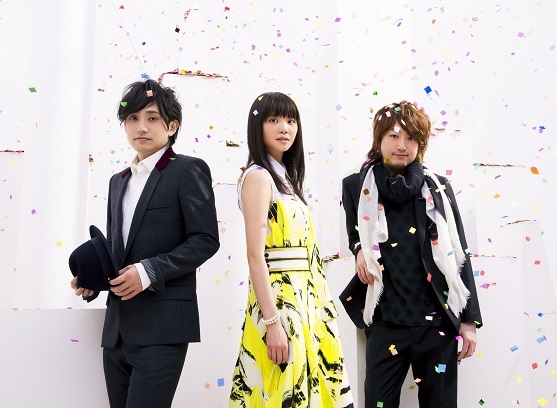 "Anata" is the first single Ikimonogakari has released since releasing its last album "FUN! FUN! FANFARE!" on December 24, 2014.